Grant’s primary responsibility for the team is to implement a business structure that ensures the success of each member that enables them to provide the clients the absolute best experience. Grant grew up in the small town of Monticello, IN that is commonly known for the attraction Indiana Beach. After graduating high school Grant went on to attend Indiana University in Bloomington, Indiana. While at IU Grant was a part of the IU Drumline. In 2004 he moved back to Lafayette and began a working career and finished his business degree. Starting in 2009 Grant started his real estate career helping people buy and sell homes. In 2012 Grant moved to Southern Indiana and continued to evolve his real estate business through diverse training provided by the #1 real estate franchise; Keller Williams Realty. Today his business, The Howard Group, keeps growing and strives to better serve his clients. Grant married his wife Lisa in 2014 and welcomed his son Levi in February of 2015 and daughter in June of 2017. Ryan’s role with The Howard Group is to ensure the process of buying or selling a home goes as smooth as possible. She uses her skill set to market your listing to to make sure your home gets maximum exposure. Ryan Fellows has lived in Southern Indiana for the majority of her life and graduated from Sullivan University in Louisville, KY in 2006 with a degree in Culinary Arts. From there, she discovered her love for sales. Directly after college, Ryan started working in sales for a manufacturing company. After 10 years in the Sales & Marketing field, she decided to work toward getting her Bachelors in Strategic Communication. Ryan has been married since 2008 and they welcomed their son Gauge in 2014. and daughter Lennox in 2017. Ryan enjoys the real estate field and her opportunity to work for such a great company and team where she gets to use her skill set to help people buy and sell their homes. She is excited for what this new venture holds for her. My family and I have been residents of the Louisville area since 2011. I moved here from Savannah Georgia, where I was raised by a loving family of 8. Growing up with 3 older brothers I quickly learned how competitive life could be. Many of the core values I stand by in my business today come from my father, who started his own company from nothing when I was a young boy. I quickly understood that what people valued most in life were honesty and integrity. I have an amazing son who reminds me daily why I get up each morning and do what I do. I am extremely grateful that I have a job that I truly love and enjoy! Ethan’s role with the Howard group is to work directly with buyers and sellers to ensure they successfully meet their real estate needs and goals. Ethan is a Southern Indiana native, growing up in Clarksville and now living in Charlestown. He graduated from Indiana University Southeast in 2015 with a degree in business management. Ethan developed a strong work ethic early in his life. When he was 18 he began wholesaling cars to new car dealerships while also coaching high school football. He later moved into the banking industry working as an assistant manager for a local credit union. It is this work ethic and experience that gives Ethan the ability to help our clients achieve their real estate dreams. Ethan married his high school girl friend in 2014. Together, they have a son named Easton who they welcome in early 2017. Megan is known for her ethical standards, high-tech marketing techniques, and personal touches as a skilled negotiator with her client’s best interest at heart. Megan has been surrounded by a family and spouse who have been partner to commercial and residential development for many years. She believes that her moral duty is not only to represent her clients, but also to educate them throughout every step of the process so they are able to make the best decision and a good investment. Living in Corydon, IN on a farm, Chris is a family oriented guy that loves his family and NEPHEWS! He loves to cook and barbeque, but fishing is also up there on his activity list! Chris worked in grocery retail for 15 years, however, he was lured to real estate through house flipping and decided 2 years ago to make a career switch. To do so, he worked for a full year getting licensed and worked two jobs in order to make the jump to full-time real estate this past January. He found out first hand the true enjoyment of helping others find their new home! Motivated, sincere, and very positive in his business approach. He's never met a stranger and looks forward to helping you! 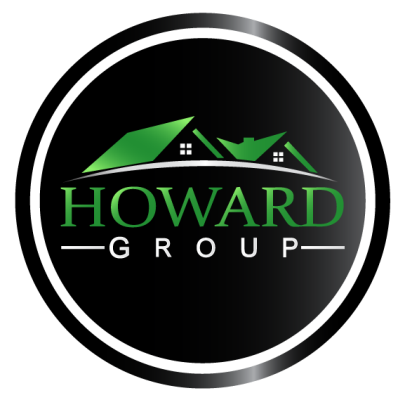 The ultimate goal for The Howard Group is to provide exceptional guidance and service so that every client has complete comfort in telling friends and family about their experience and are confident to continually refer The Howard Group to them. To grow into a company that agents and service providers want to be a part of and to help expand. Have this business being family oriented and so that every team member is valued and all members have potential to grow to the level they desire.